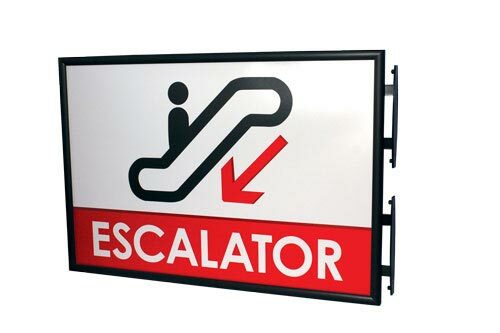 These double-sided projection mount aluminum frames with spring-loaded edges make interchangeability of inserts/graphics easy. 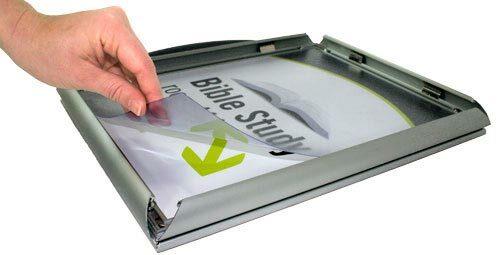 Just snap open the edges, remove the matte clear lens, change out the inserts, replace the lens and snap the edges shut. 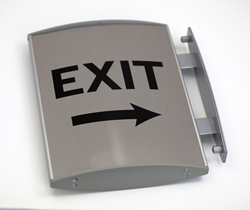 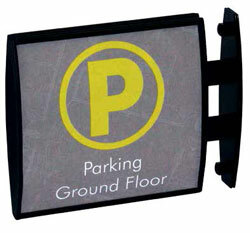 Two-sided frames available in a powder-coated black or brushed silver aluminum in a variety of sizes. 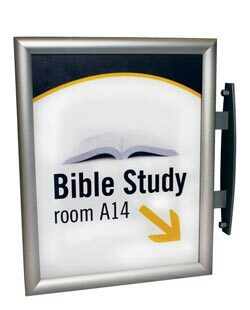 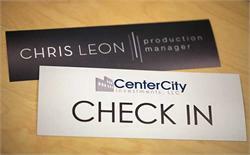 Hallway wall signs and corridor signs project your custom message, door marker or room number at 90 degrees - projecting wall signs with changeable insert area.